This week has been all about Daniel Ricciardo and Felipe Massa. The budding friendship between the two has blossomed when Daniel headed over to the Brazilian's house to kart race his son around an impromptu indoor track. It was an incredible amount of fun for everyone involved, it seems, and for everyone watching at home. Although Daniel has a fabulous lead to kick-start his rankings campaign, he's not the only one picking up points this week. Esteban Gutiérrez has also been chatting on social media and posing for photos, whilst Jenson Button takes in some festival vibes. Don't forget, your suggestions are always welcome for potential rankings points, just send them over! +3 Felipe Massa: Nice little column on Motorsport.com, the first one detailing his battle to keep Hamilton behind him in China. -1 Nico Rosberg: Just because you win three races in a row, I don't think that's an excuse to show off about flying into Monaco via helicopter! +6 Felipe Massa: A couple of points for Massa for setting up the fabulous Ricciardo kart battle but more points for having an awesome son. 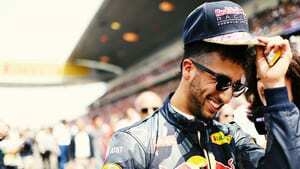 +12 Daniel Ricciardo: The fantastic kart battle with Felipe Massa's son deserves all the points and then more! +2 Felipe Massa: Interrupting an Alonso driver parade interview to stir up a bit of trouble. +2 Fernando Alonso: Still ribbing Johnny Herbert for his thoughts that the champion should retire, and dealing well with Felipe Massa's interview interruptions. +1 Jenson Button: Sharing the love from Coachella. +1 Esteban Gutiérrez: Nice little Twitter Q&A, if you don't mind him filling up your timelines - but also yay for picking Ricciardo as the funniest driver. +1 Esteban Gutiérrez: Risking life and limb by standing next to Pastor Maldonado for Felipe Massa's birthday photo. -2 Fernando Alonso: Oof, this Baku video is so scripted it hurts. "The speed is higher, in the city of fire." Previous post Has Rosberg turned the corner with his early dominance?